Occupying the westernmost 5 block of Fremont Street is the Fremont Street Attraction, with a pedestrian mall and barrel vault canopy across the span of the street. 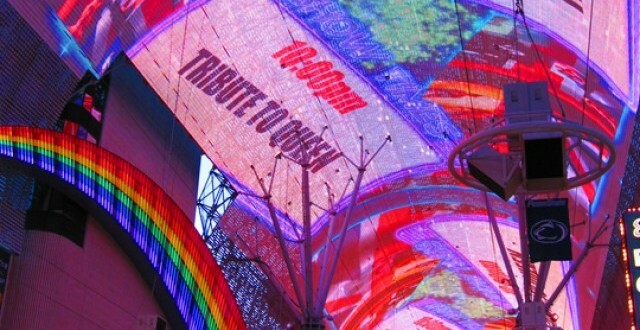 At approximately 1,500 feet in length the canopy is the worlds largest electric sign. More than 12 million LED lamps illuminate the overhead canopy also with 220 speakers. With two sound stages on Fremont, the venue and canopy has become one of the top tourist attractions for Downtown Las Vegas.